Subject: You are a Winner, Congratulations!!!. You are a Winner, Congratulations!!!. You are a Winner , Congratulations !!! 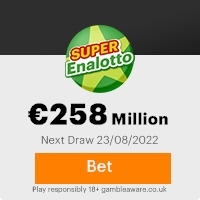 We are happy to announce that you have been selected among the Lucky winners for the International Online Lottery Award Prize of GBP:2,850,000.00 (Two Million Eight Hundred and Fifty Thousand British Pounds Sterling only) via our auto generated system operated by Camelot Group . Your active email address attached to your computer IP address generated ticket number: BH-05607546-17 with reference batch number UK/KA2C110EN7 has won International Online Lottery 2nd category award Prize. You are hereby advised to immediately contact our Accredited Fiduciary agent attached to your claim Prize by providing the below personal details, to enable him process the release of your winning prize to you . Note: For security reasons and to avoid mix-up of winning numbers and names, we strongly advice that you keep this notification strictly confidential from any third party until your claim has been processed and your money remitted to you. This is part of our security measures to avoid double claime or unscrupulous acts by non-participants of this programme. Previous: Can I give you this trust?Fresh ScamsNext: Re: Good News.. This Email with the Subject "You are a Winner, Congratulations!!!." was received in one of Scamdex's honeypot email accounts on Sat, 04 Mar 2017 23:38:23 -0500 and has been classified as a Generic Scam Email. The sender shows as International Online Lottery <mspaulinemckinney@yandex.com>, although that address was probably spoofed. We recommend that you do not attempt to contact any persons or organizations referenced in this email, as you may expose yourself to scammers and, at the very least, you will be added to their email address lists for spam purposes.